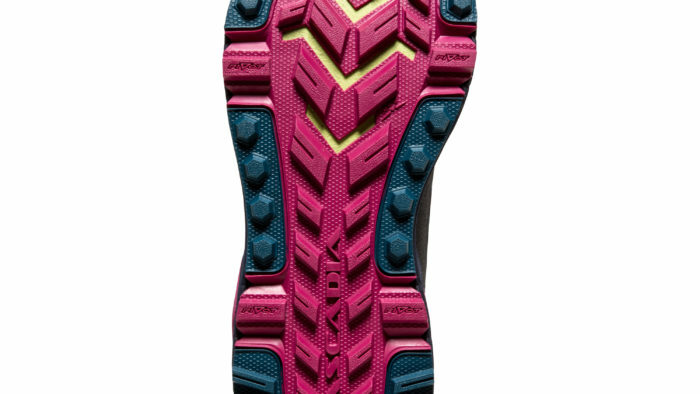 The Brooks Cascadia seems to be a trail shoe which runners are pretty loyal to. I experienced an instant attraction to it when I started running and we shared some good times together. I never blamed them when races didn’t go my way, they never caused me any pain and we got along well for many years. However, I bought the next version and suddenly the magic wasn’t there any more. They’d changed. The toe box was narrower, they started giving me blisters, we parted ways as I moved on to a new brand, but we remained friends. Fast forward about 5 years and the opportunity came up to try the latest version – the Cascadia 13. We were offered a free pair for review and I volunteered. Was the magic still there between us? Would the flame be rekindled? They felt like an old friend when I put them on, fresh from the box. Whether you’re familiar with these shoes or not, they feel slipper-like on your feet. They are an exceptionally comfortable shoe – everything feels really cushioned, from the insole to the heel to the collar. 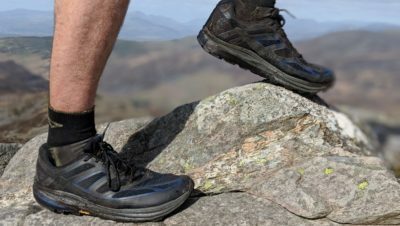 You may want to extend the usual few hours of ‘just wearing them around the house to wear them in and delay the day when they get muddy’ to a few days. But though they felt the same, there were a lot of differences with the last version I’d worn (possibly the 7?). The first thing I noticed was that it just felt like a much more robust shoe than the Cascadia of old. The upper feels much better quality and has a finer mesh on it, which is stretchy and very kind on your feet. The rubber bumper, or ‘3D Rubber Print Mud Guard’ as it’s called on the Cascadia 13, goes all the way round the shoe and will keep out debris and protect against rocks really well. The tongue is soft and foamy and sits well, without any uncomfortable bits. It’s a tough, sturdy but comfortable shoe. The second thing I noticed was the grip. I remembered my Cascadia of old being fine on anything rock, dirt, grassy, roady, gravelly, but you were like Bambi on ice in the mud. 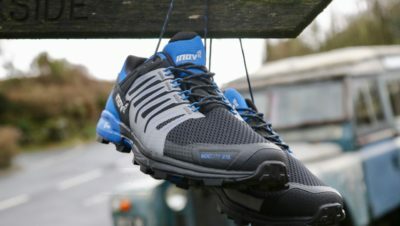 The Cascadia 13 still aren’t a shoe for very muddy trails (they have 3mm lugs) but the grip is hugely improved and they seemed to handle anything I put them through fine, from road to bog. On the run they felt like an old friend too. It took no time at all to break them in and in fact the second run I did in them was 13 miles, with no issues whatsoever. 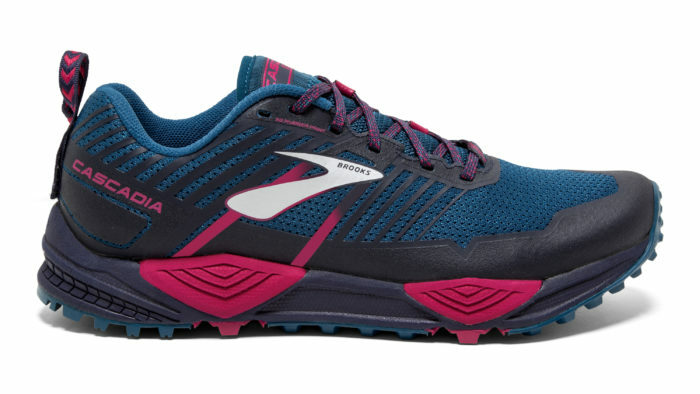 They are classed as a neutral shoe but they feel very well supported and they benefit from Brooks technology like ‘BioMoGo DNA midsole cushioning’ which is designed to adapt to your weight, pace and unique gait, giving each runner a cushioned and springy ride. They certainly felt cushioned and springy. So how about that toe box? 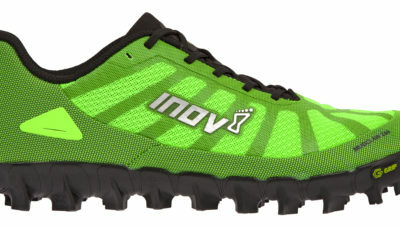 I found it roomy enough, but not as wide as something like the inov-8 Trail Talon or Saucony Peregrine. It certainly didn’t give me any issues on long runs – and the longest one I did was 30 miles, which should be a pretty good test of whether your toes will suffer. All in all, I found it much improved from the version of a few years ago. Improved fabric on the uppers, a robust rubber bumper all the way round, better grip, and even more cushioning has made this popular shoe even more of a crowd-pleaser. It’s a great all-round trail shoe, if you want something which will handle most conditions and be very comfortable on long trail runs. 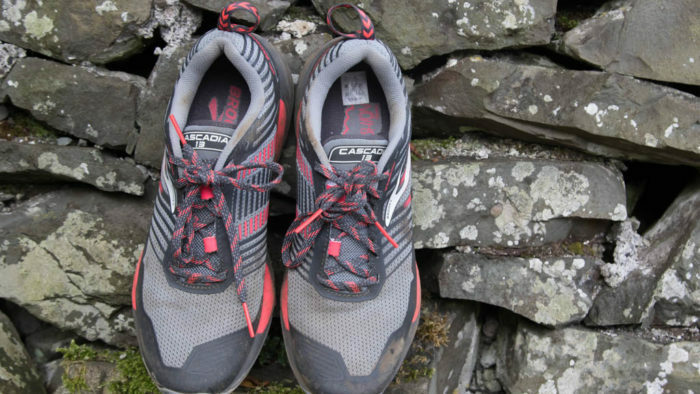 The Brooks Cascadia 13 is £110 and you can find out more about it here.